The Red King’s third attempt to defeating the Justice League is by destroying them through the use of his powers. 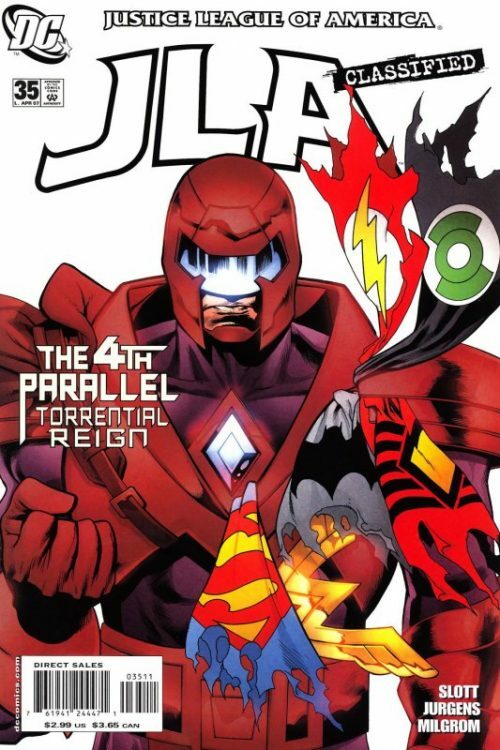 He begin by manipulating a swarm of meteors to wiping out Keystone City and Central City. 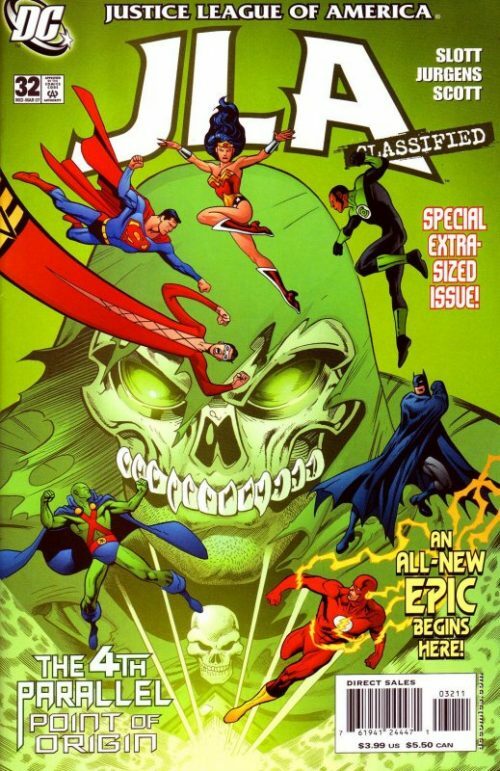 The blast kills the cities’ entire population, including Batman and Plastic Man. 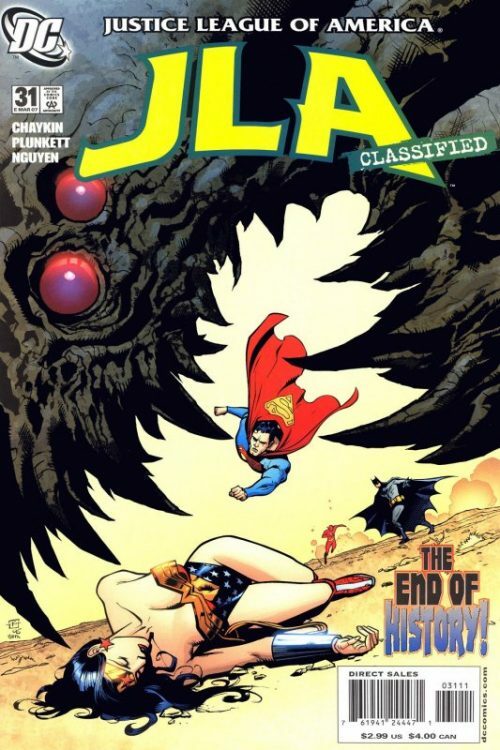 The Red King exploits the confusion to inject Superman with a “Bizarro virus” that rapidly mutates him taking away his intellect before using the Watchtower’s teleporter to scattering League across the world. 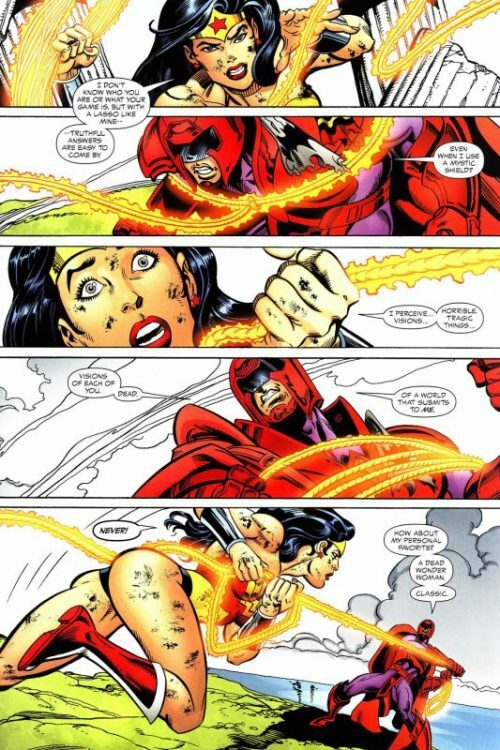 The Red King first takes out the Flash by negating his protective aura, so that the very act of running damages him faster while attempting to help Wonder Woman. 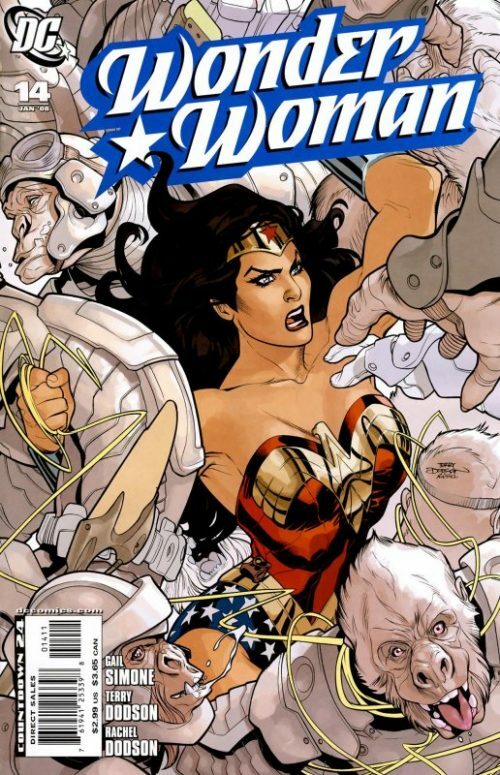 The King beheads Wonder Woman before finishing off Flash. 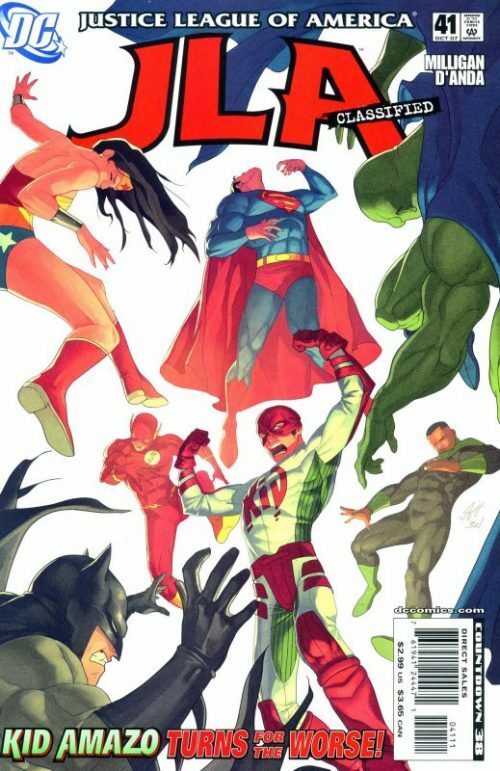 The Red King later kills Green Lantern in New York City. 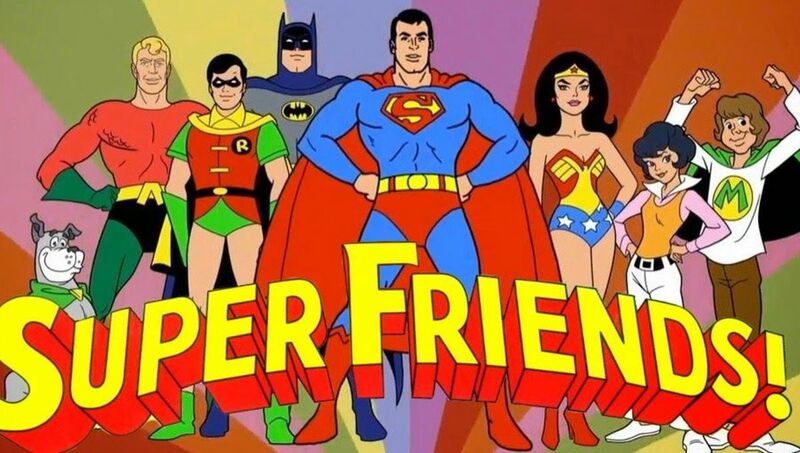 After battling members of the Justice Society and Booster Gold, he travels to Metropolis and calls out on the unintelligent Superman. 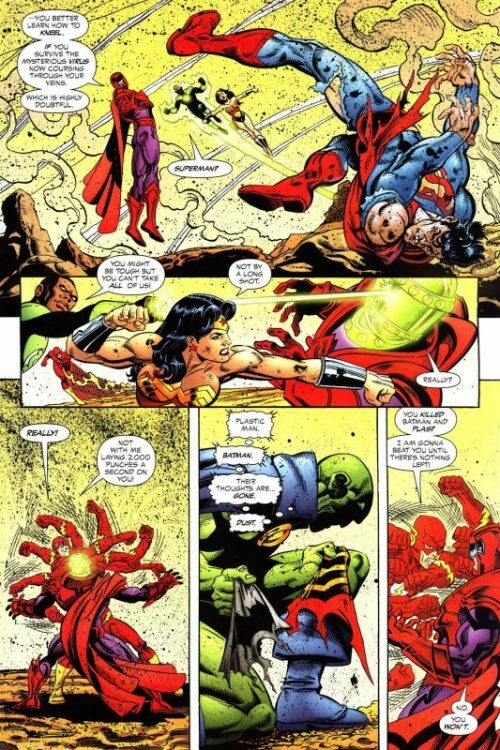 But unexpectedly for the Red King, the rest of the Justice League that were killed by the Red King appears – the Martian Manhunter had faked their deaths – and together with Superman launch a coordinated assault on the Red King. 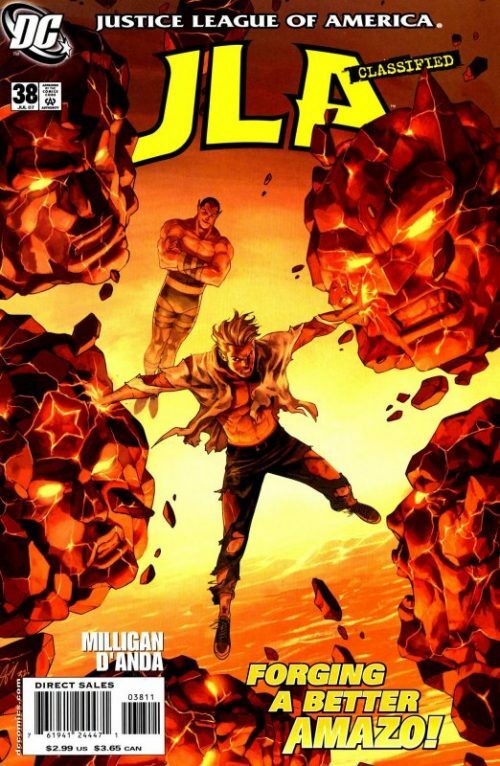 Despite the League’s efforts, the Red King, infuriated, unleashes a massive blast that really kills the heroes. Although triumphant, the Red King’s attack only devastated the planet.